The Escapades of Jam and Lam: And we're off...! 10 hour direct flight to London, arriving at 7AM. Hopefully, we'll get some sleep on the plane, otherwise Monday's going be a long day. Laura packed everything yesterday (while I cleaned up the house). 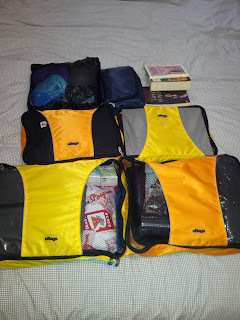 We bought packing cubes and they really help keep our bags organized. 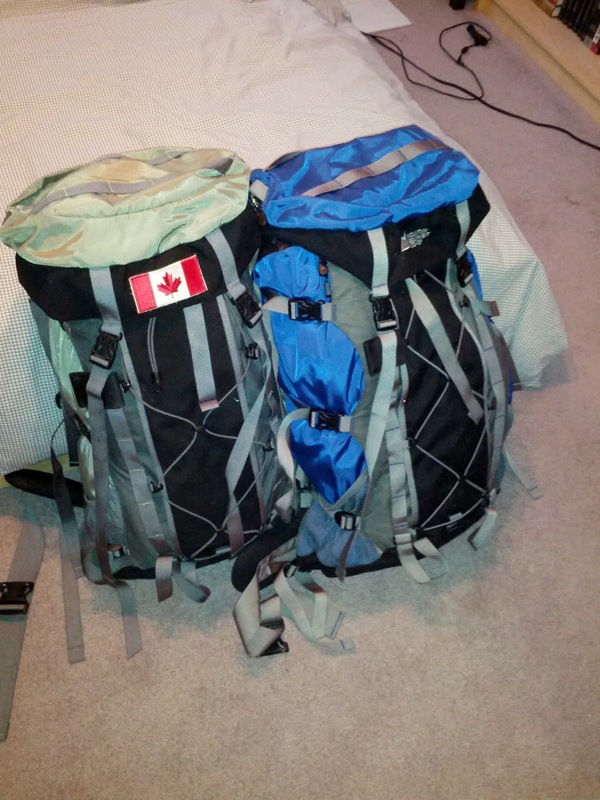 Our packs are 60L, but they only weigh about 20 lbs each. We actually wish we had smaller bags that would fit into airplane carry-on, but we already had these ones. Oh well - lots of extra room in them for souvenirs I guess! 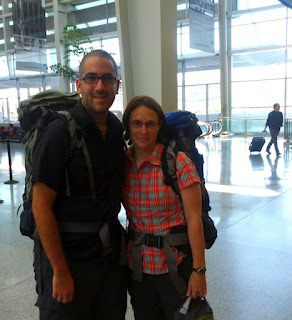 One of Laura's friends shared an awesome tip with us - rent a car to go to the airport. A taxi to the airport costs us about $100, shuttle would cost $45 (but it stops to pick up other passengers). 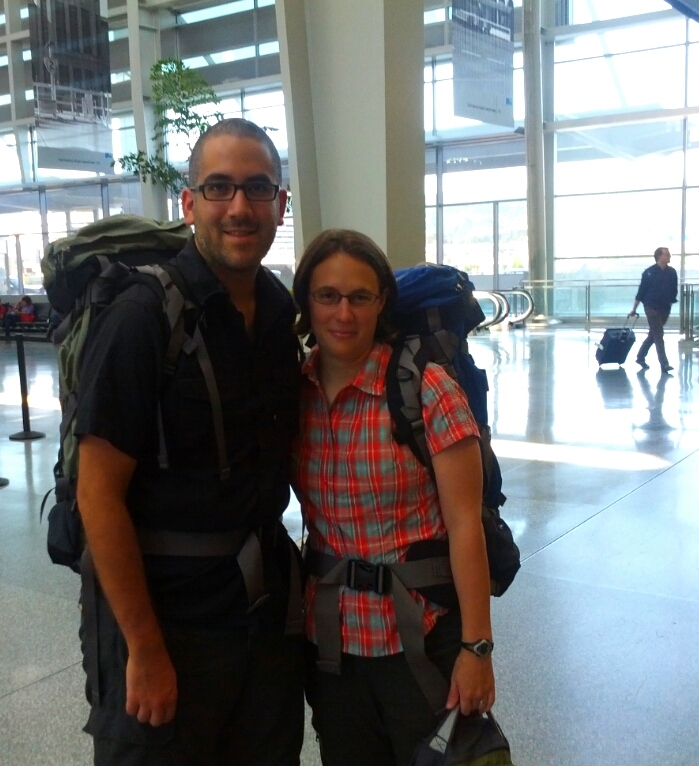 It only cost us $18 to rent a car from SJC airport and drop it off at SFO! Have a great trip!! I will be living vicariously through your blog! omg! we are all watching so enviously! also- i like that jerome made sure that we knew he was helping out too by cleaning.